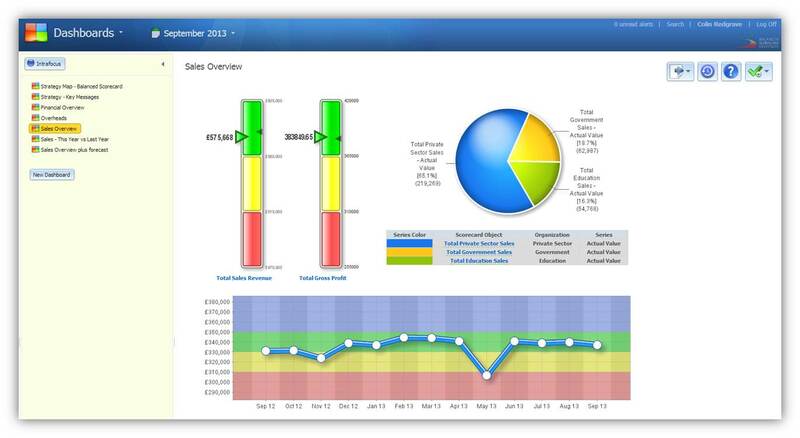 Once a Scorecard has been created the data can be displayed in many ways. 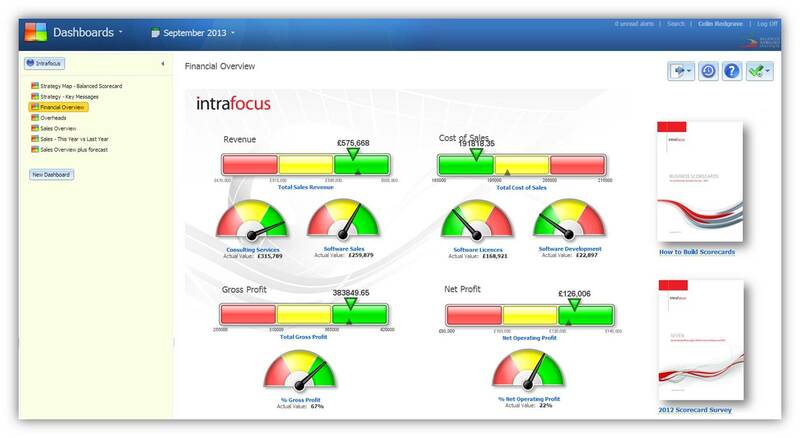 Dashboards provide a quick and easy way to take important elements from multiple Scorecards or Perspectives and assemble them as a single view. Two popular ways of looking at data are Strategy Maps and Department Summaries. [Note: the red dashed border is the delimiter for slides that might subsequently be exported to PowerPoint. If you know you Dashboard is to be exported, keep it within these limits]. The Dashboard editor works in a similar way to PowerPoint. Any object can be selected, moved, resized and deleted. The objects are selected by using the tool bar at the top of the screen. For a Strategy Map, the first thing we need to do is select a background image. Click on Background Images and a list of all images currently in the system will be displayed. Important Note: The great thing about Dashboards is that you build them once and then they are updated automatically whenever the data within the system is updated. Also, all of the embedded elements in the dashboard are click-able through to the source data. The process used to select objects, move, resize or delete them is the same as described above.